ADDITIONALLY, there is sitting capacity for over 125 people around the patio, both front and back, at Parker Station….with the umbrellas, lights, patio furniture, flowers, sculptures and brick paved areas, this is a great place for people to meet and greet. In fact, during the summer months several bike riding clubs, both pedal and motor, use our parking/site to park, meet and ride to and from in our Parker community. 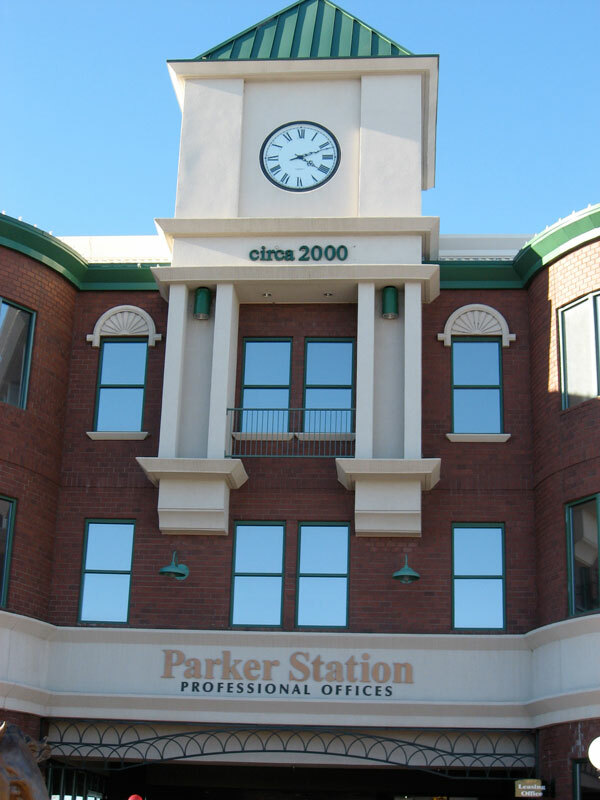 For Office Space in Parker Colorado you have come to the right place!